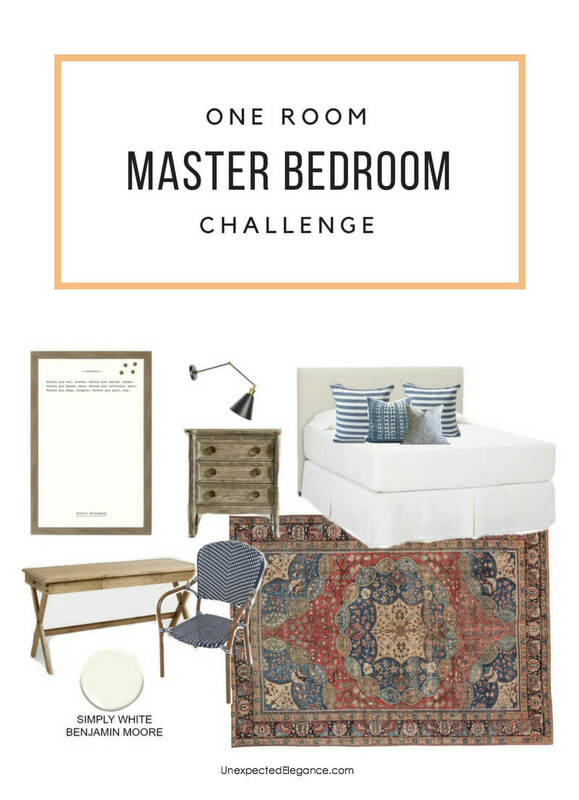 Well, it’s that time of year again…we are are kicking off the One Room Challenge! If you aren’t familiar with it, I have 6 weeks to completely makeover one room from start to finish. The last room I made over for the challenge was my office. I love how it turned out and it still looks pretty much the same. 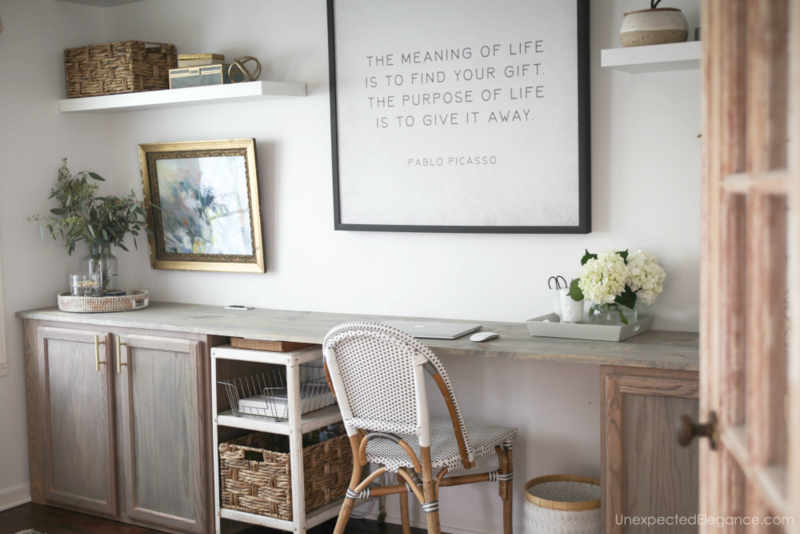 You can see the full office reveal here. I still like the dark wall color, but I’m just ready for something new and brighter. I will be keeping the bed and linen comforter, but adding some other pillows and blanket. 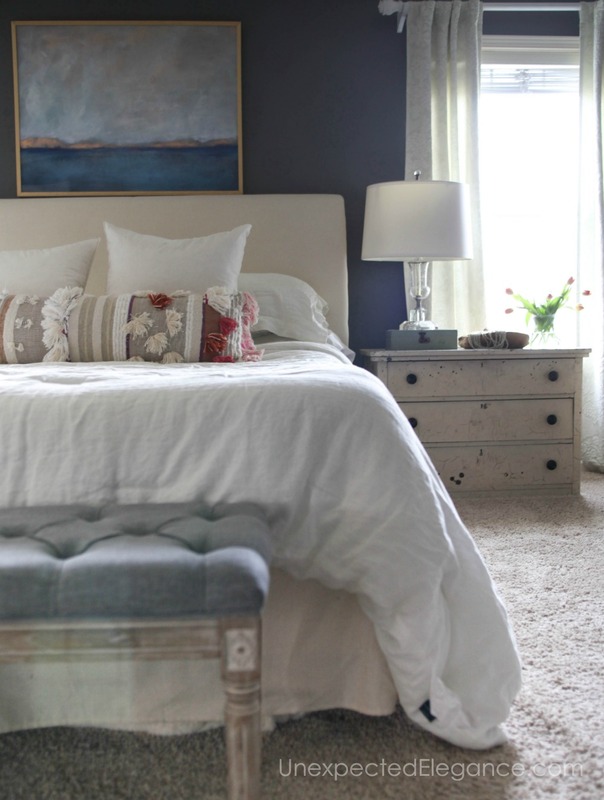 I think I’m going to keep my mix-matched night stands, but I’ll be either stripping or painting them another color…I’m still on the fence. 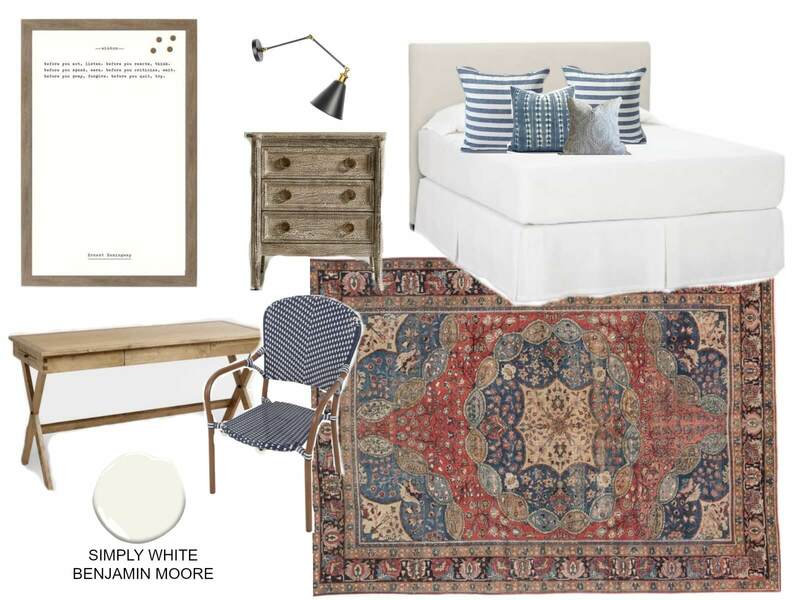 If you’d like to see how my room currently looks, check out this master bedroom refresh post. I’m going to lighten up the walls and move the bed to another wall. 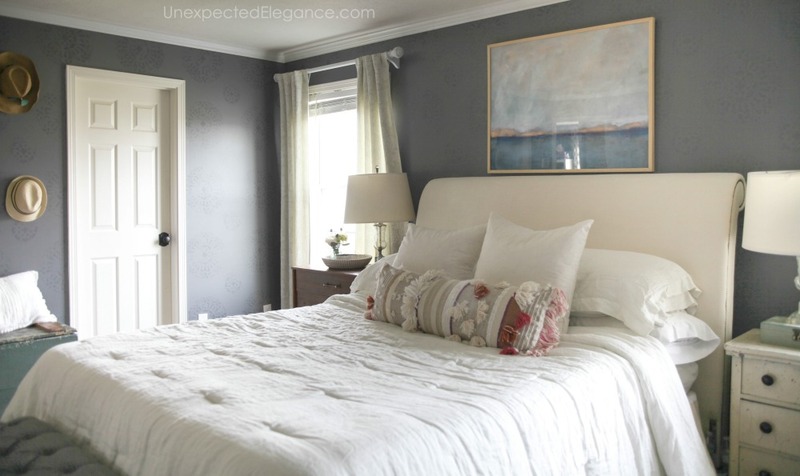 Since the walls are white, I want to bring in some natural tones to warm up the space. We aren’t planning to replace the carpet, so I’m going to use this large rug. I found this amazing, handmade rug from ECarpet Gallery! 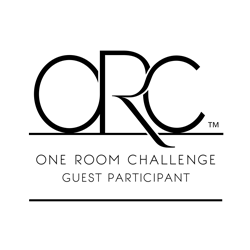 This is just a loose plan because things will probably change as I start implementing the design. I’m excited to transform the space and I hope you will follow along. To see all the other room in the challenge, click HERE. Love the rug! It’s going to be so calm and relaxing in there. Can’t wait to see! !